The Ultimate WooCommerce Table Rate Shipping Plugin! It offers a variety of features, you can calculate shipping based on destination – country, state or zip/postcode, weight, item quantity and cart total. Ship per Item! Charge based on the number of items and other type of settings. 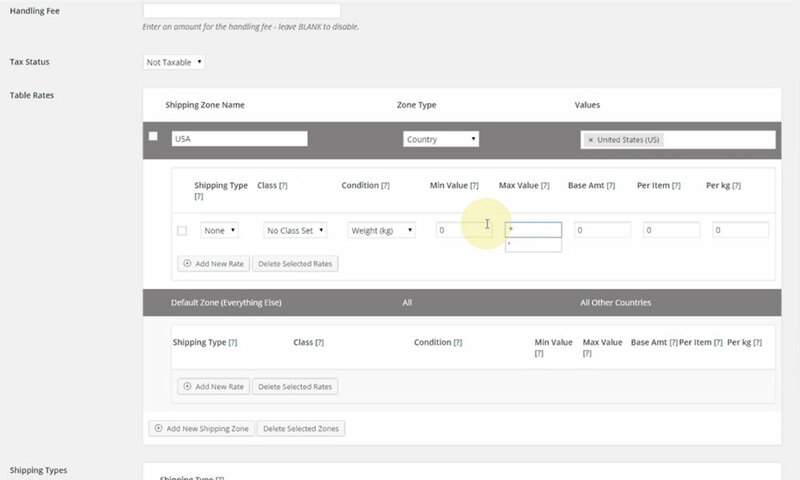 Shipping by weight – full flexibility to define how shipping is calculated. Optionally add a handling fee to each order. This will be included in addition to the calculated shipping fees. We pride ourselves on our support, going above and beyond. Rest assure that you’ll receive help with anything related to our plugins. Certain shipping methods can be hidden if the cart contains specific items. Do you want to show a specific label when a customer has certain items in their cart? With our plugin you can customize the text as you need. 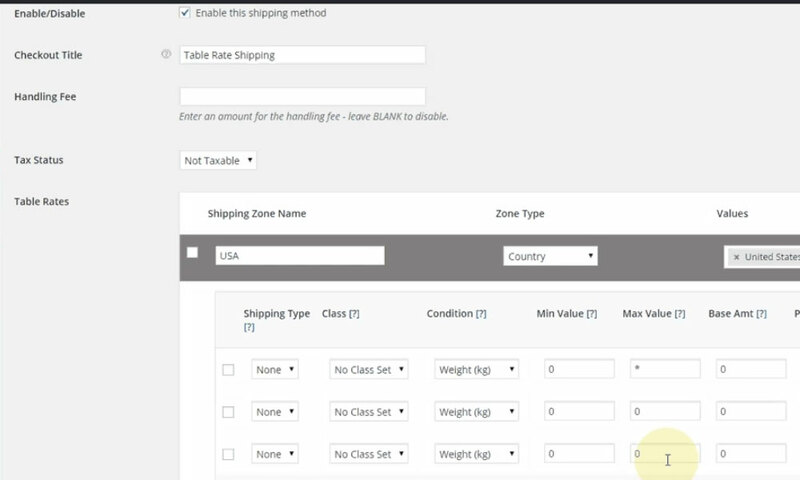 If you would like to make your shipping methods appear in a particular order then our WooCommerce Table Rate Shipping plugin fits the bill. Simply drag and drop the shipping methods into the order that fits your needs. Quick, easy and effective! Here’s a couple of videos showing the plugin in action. 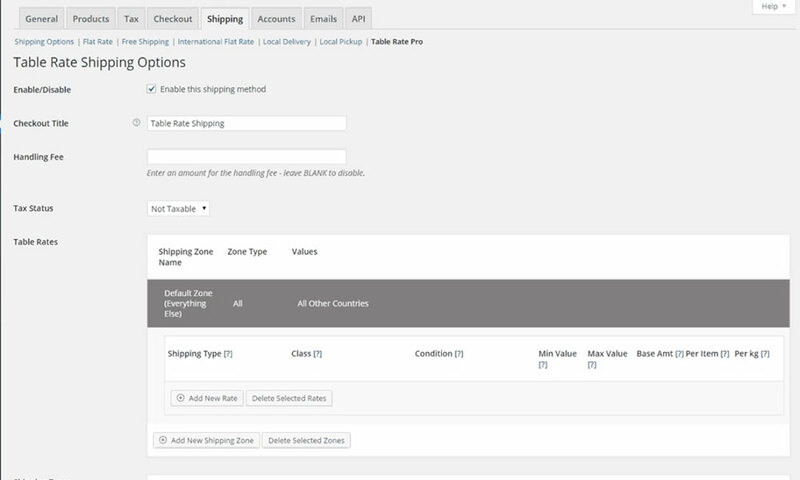 See how incredibly flexible WooCommerce Table Rate Shipping – PRO plugin is and can be customized to suit all your shipping needs. Most of the time, WooCommerce store owners needs to set up shipping by weight. There are several ways to implement this and by using our WooCommerce Table Rate Shipping plugin, gives you more flexibility to setup your shipping rates. By default per item shipping is not available in WooCommerce, you will probably need to install a plugin. 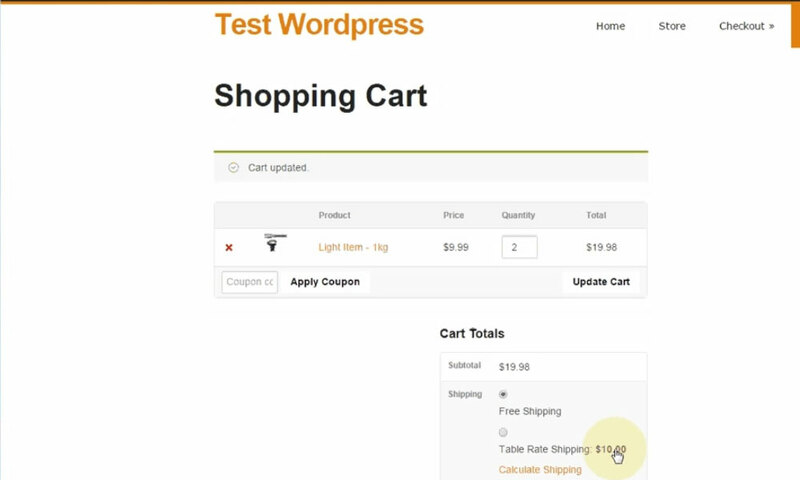 This video below shows you how to set up WooCommerce per item shipping using our flexible WooCommerce Table Rate Shipping plugin. Ready to add amazing shipping to your WooCommerce store? Click the purchase button below and you’ll be up and running in no time! If you have a question you would like to ask before you make a purchase, contact us HERE – we are very happy to answer ANY questions you have. This purchase entitles you to use this plugin on one site and receive updates and priority support for 1 year from the date of purchase. Your plugin will still work after one year but you will not receive updates or priority support. Concierge – Done For You Service! If you would like a ‘Done For You’ service then select our License + Install + Set Up. We’ll install it on your WordPress site and configure it for your store. We will consult with you and understand how your shipping needs to be set up for your particular store, install the plugin and set up the applicable rules. It’s a timesaver and it just doesn’t get any easier!